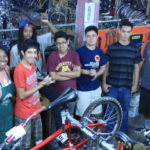 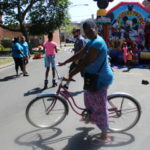 “With each application cycle, we grow more and more impressed and inspired by the proposals, and the earnestness and eagerness with which these organizations and community residents seek to serve and support their communities,” says Deborah E. Bennett of Polk Bros. Foundation, who oversees the community grants review process for the Partnership. 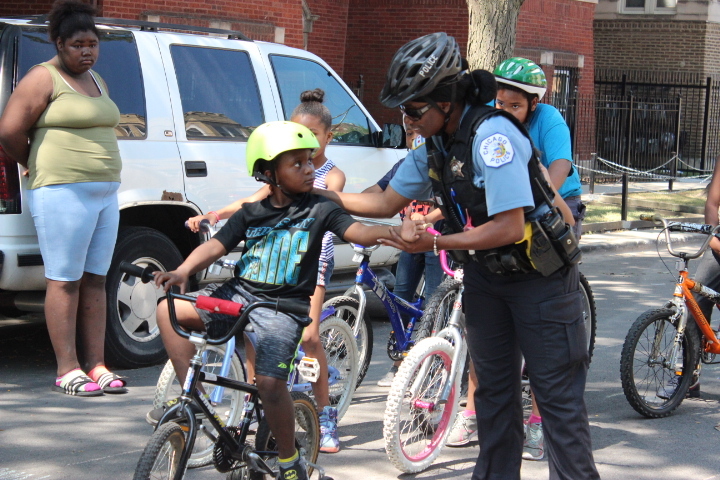 The community grants began in the summer of 2016 when gun violence in Chicago was spiking. 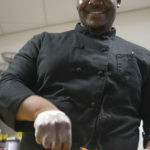 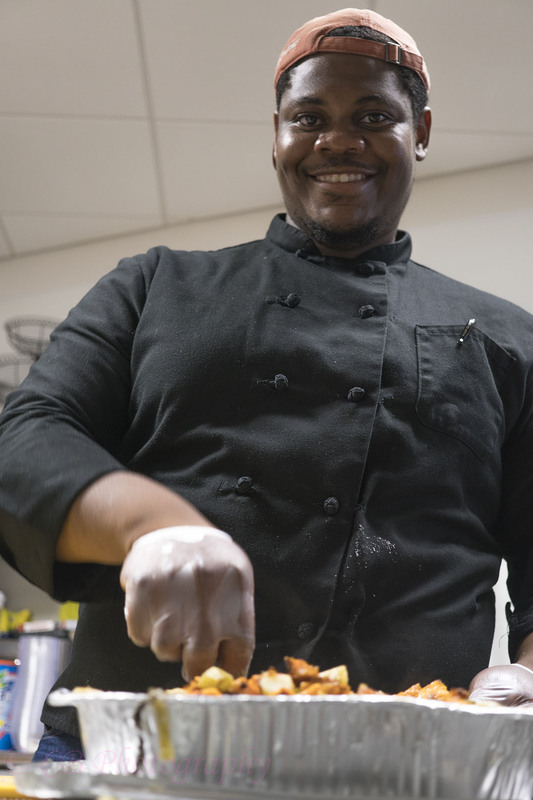 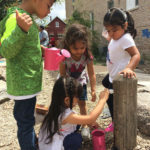 In its first year, the Fund issued 72 grants totaling $500,000. 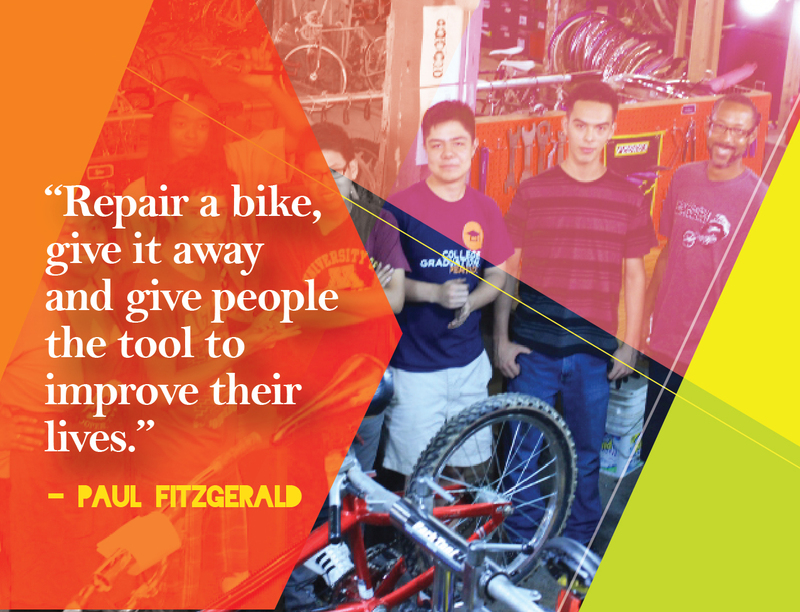 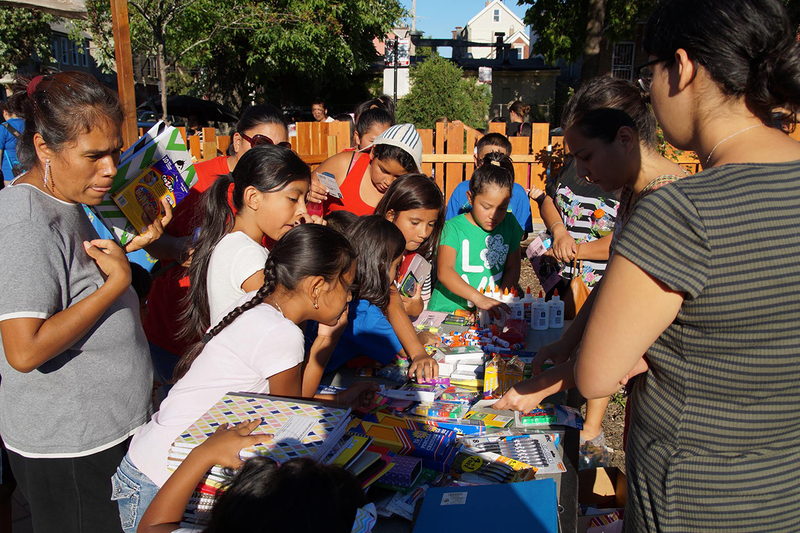 Last year, the Fund issued 120 grants totaling $850,000. 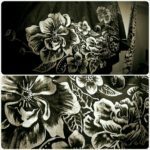 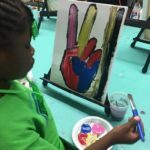 A space where women and girls can discuss their feelings and alleviate some of the stresses of living in a violent community. 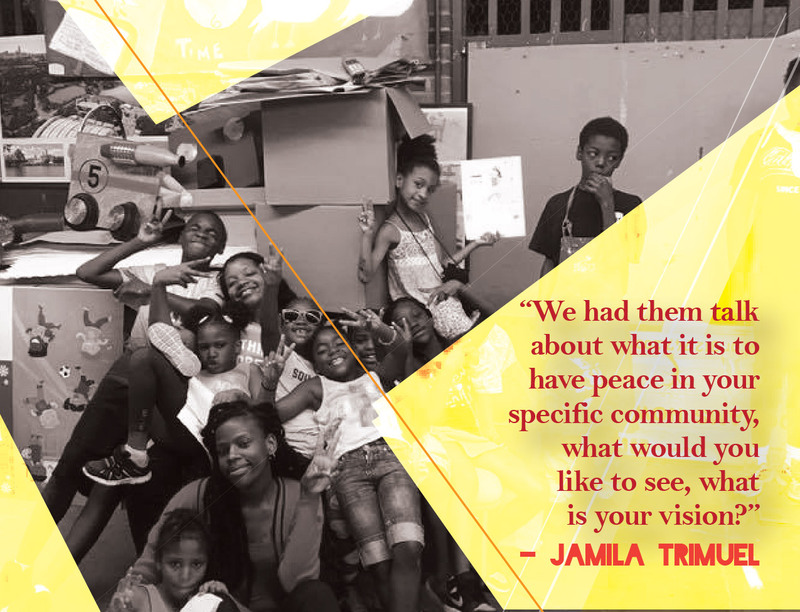 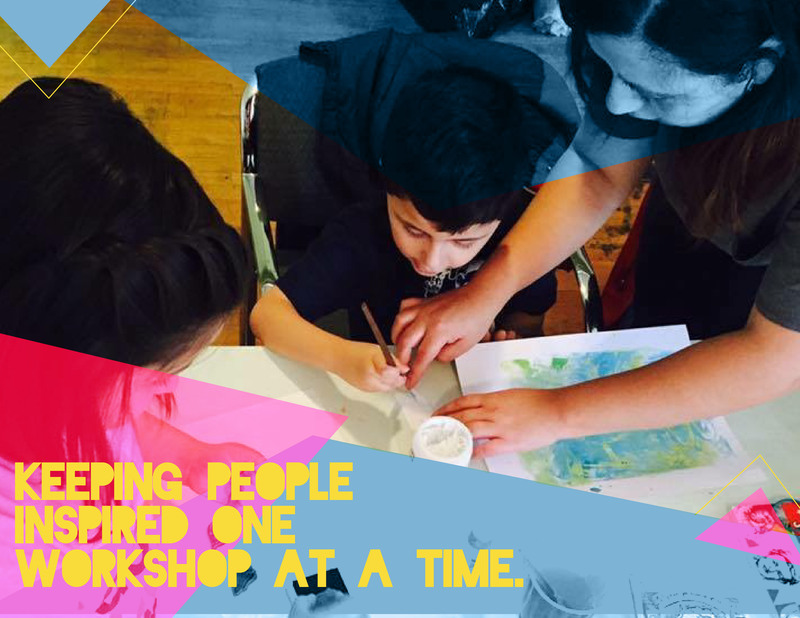 A space where they’re given the freedom to imagine what a positive future for themselves and their communities could be. 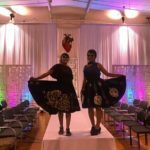 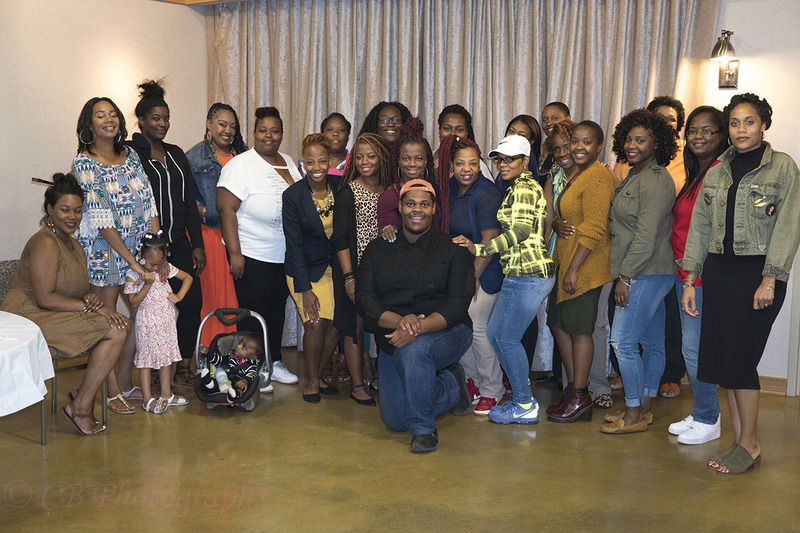 A space called Black Girls Break Bread, founded in 2016 by Jessica Davenport-Williams, Khadija Warfield, and Jazzy Davenport. 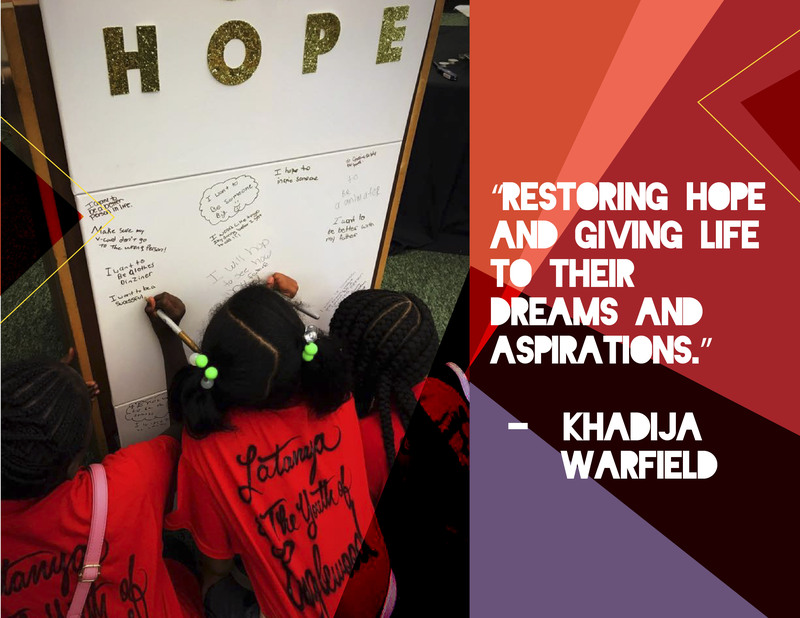 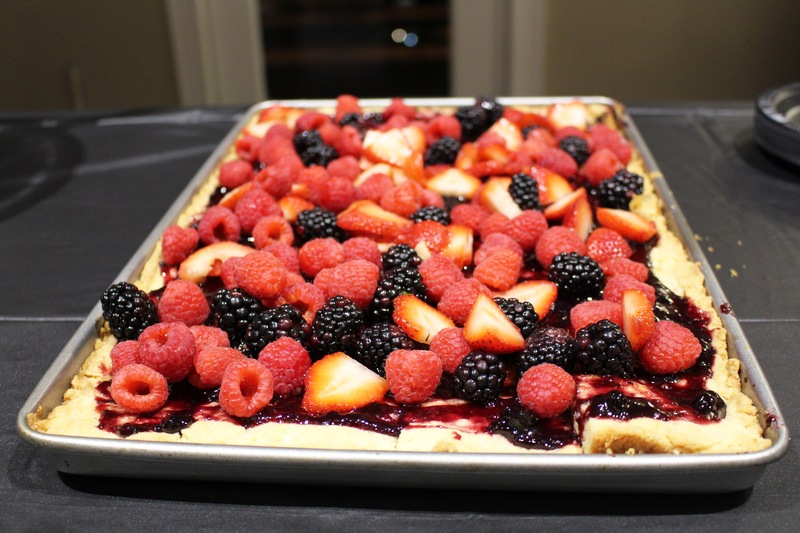 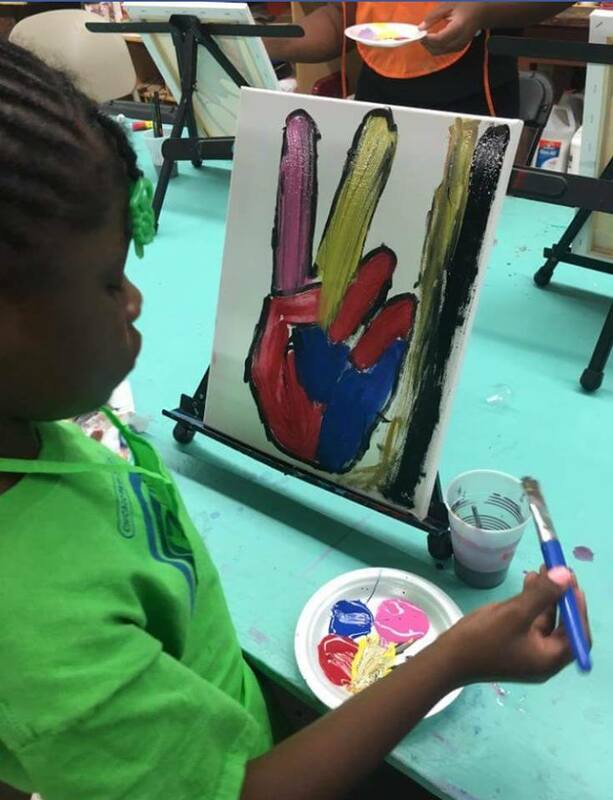 Black Girls Break Bread was awarded the Safe and Peaceful Communities grant to host two fellowship luncheons that provided school supplies, school resources and a meaningful discussion about, “restoring hope and giving life to their dreams and aspirations,”says Warfield. 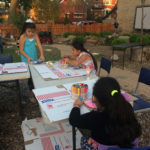 They also created what they called a ‘wall of hope.’ The women and children in attendance were able to write the things they hope for most on the wall. 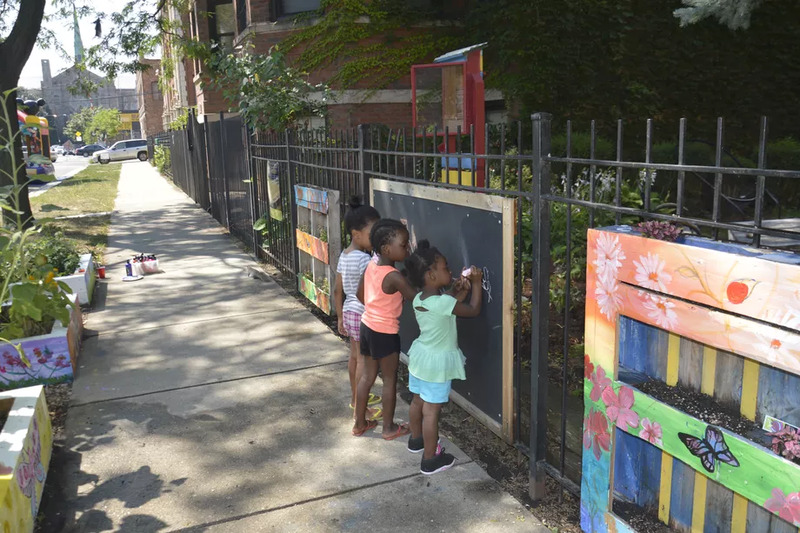 Their hopes included having a better relationship with their father, dreams of homeownership, and, of course, visions of a better Englewood. 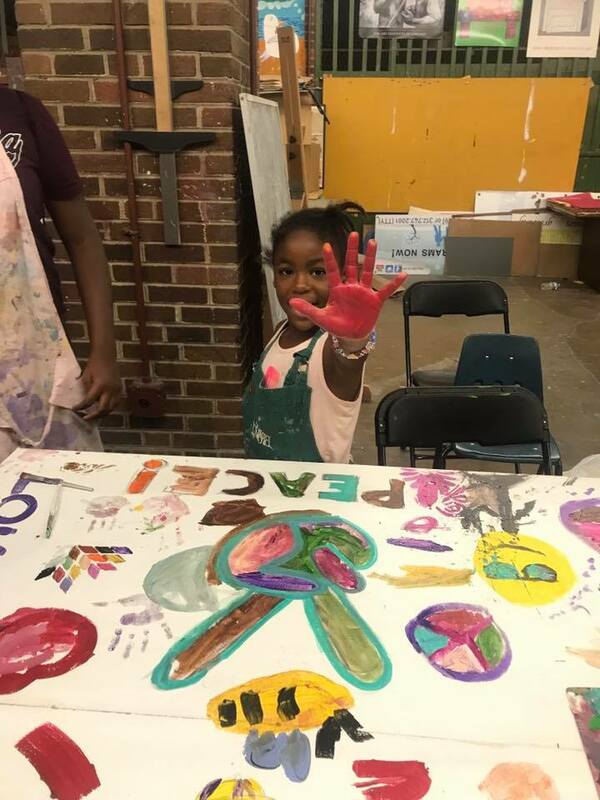 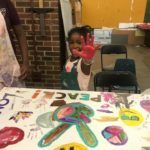 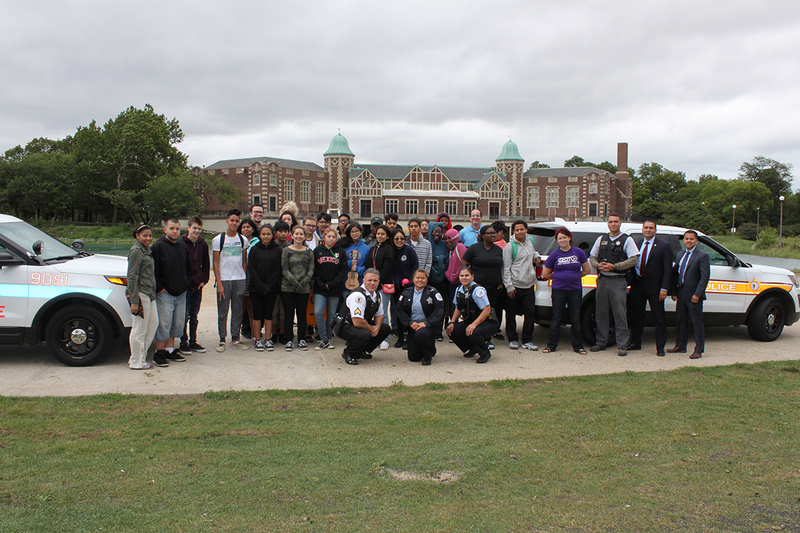 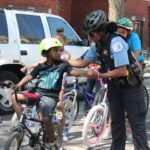 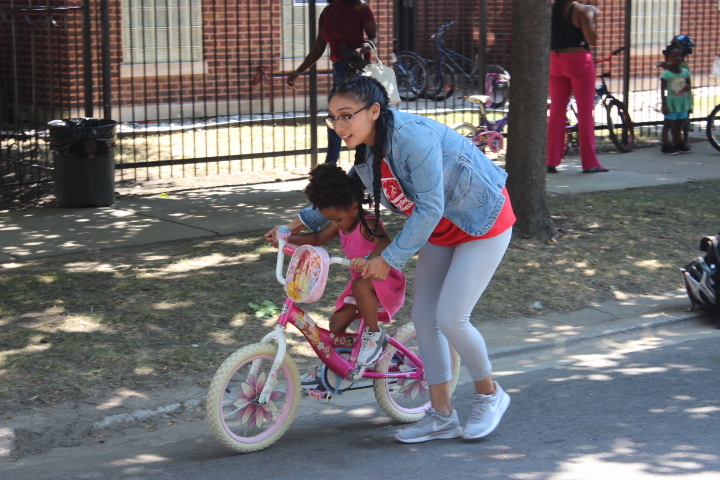 By writing these things, the women and girls of Englewood were able to identify something positive to focus on beyond the violence they experience in their daily lives. 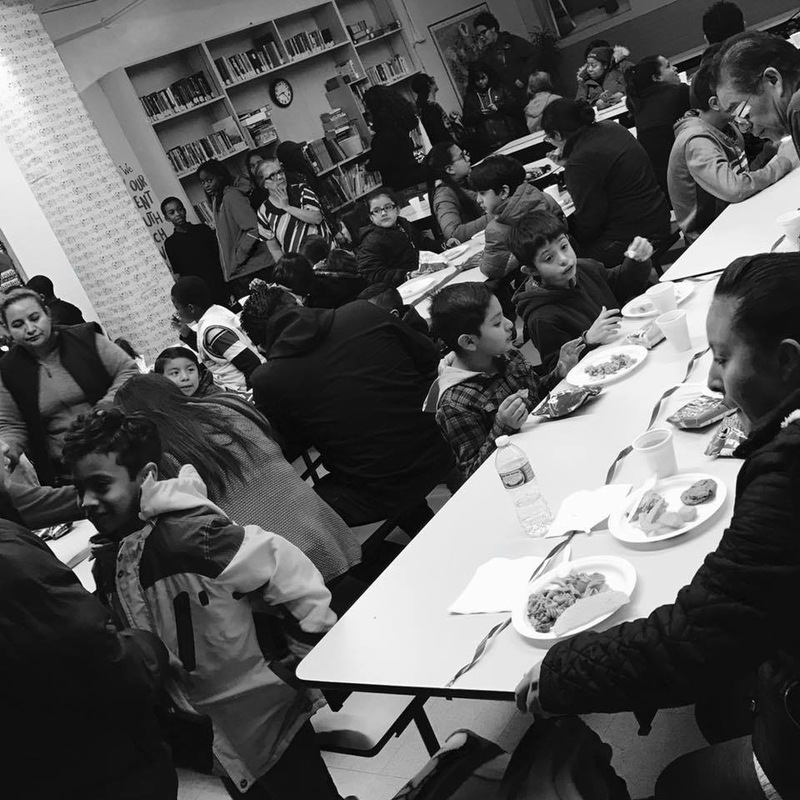 They were also able to see that they are not alone in their everyday struggles. 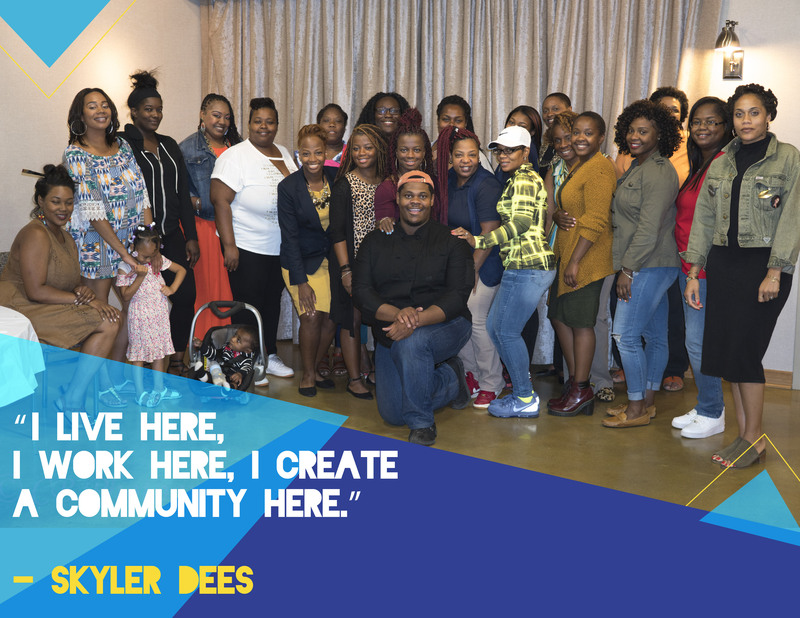 They found allies in their neighbors– grandmothers, sisters and aunts– many of whom share similar experiences and hopes themselves. 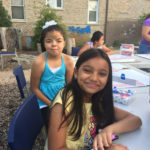 They shared ideas about what they can do for their community. 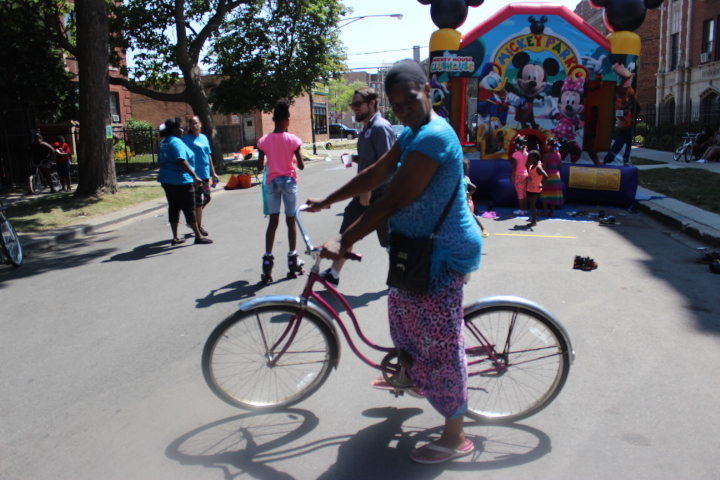 They highlighted other organizations that are working on building North Lawndale by promoting positive programming. 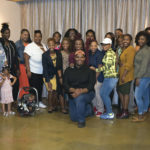 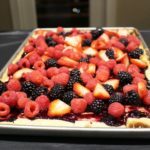 They invited women of the community to vent freely, to share the lessons they’ve learned along the way, and to share with the younger generations the gems accrued throughout living life. 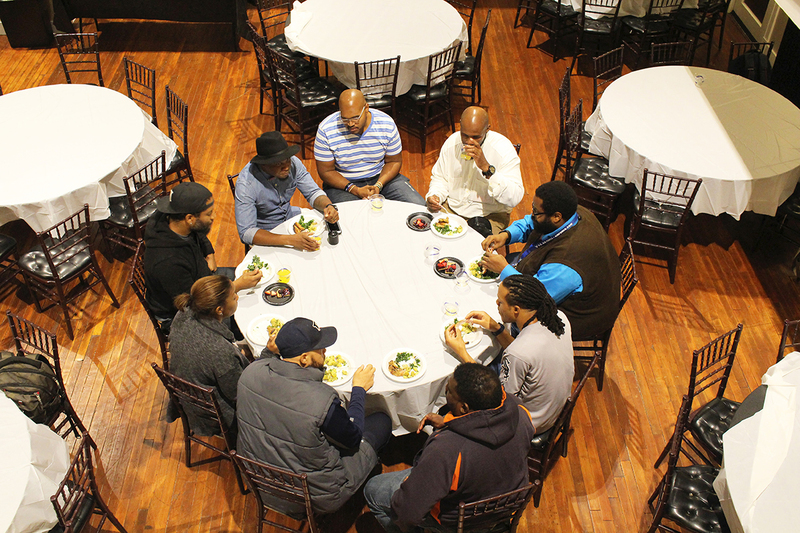 In the course of each luncheon, they did more than have a meal over a conversation, they connected and shared their fears, dreams and hopes. 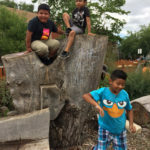 Do not let Jardincito´s name – little garden – fool you, because the garden community council has big plans for this green space. 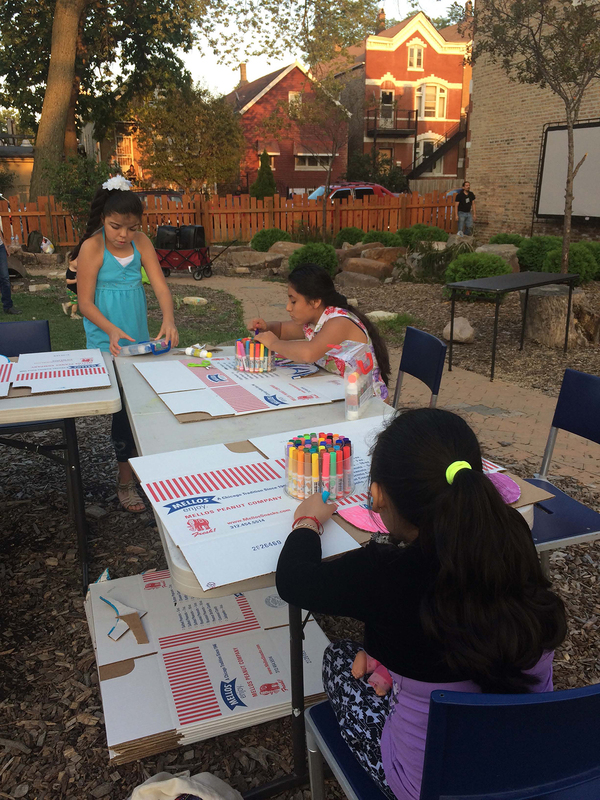 Located in Little Village, it is one of the few green spaces in this Southwest neighborhood. 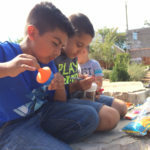 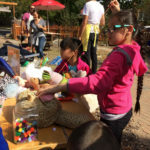 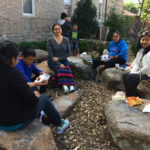 Jardincito Nature Play Garden community member Sara Cortés says the community council aims to create a neighborhood-directed nature sanctuary where youth and adults alike can deepen their relationship with the natural world. 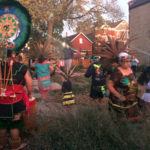 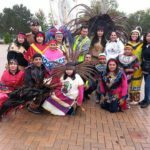 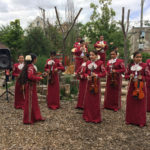 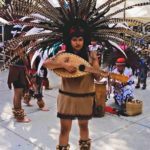 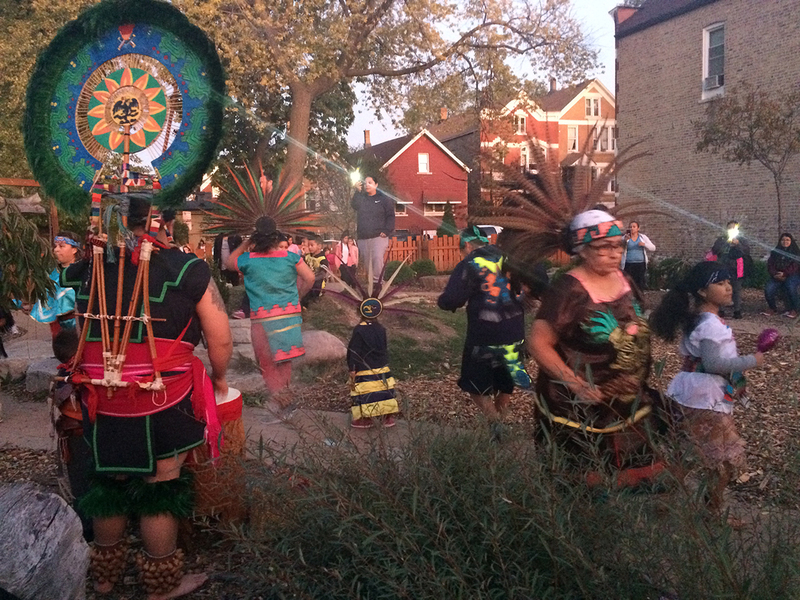 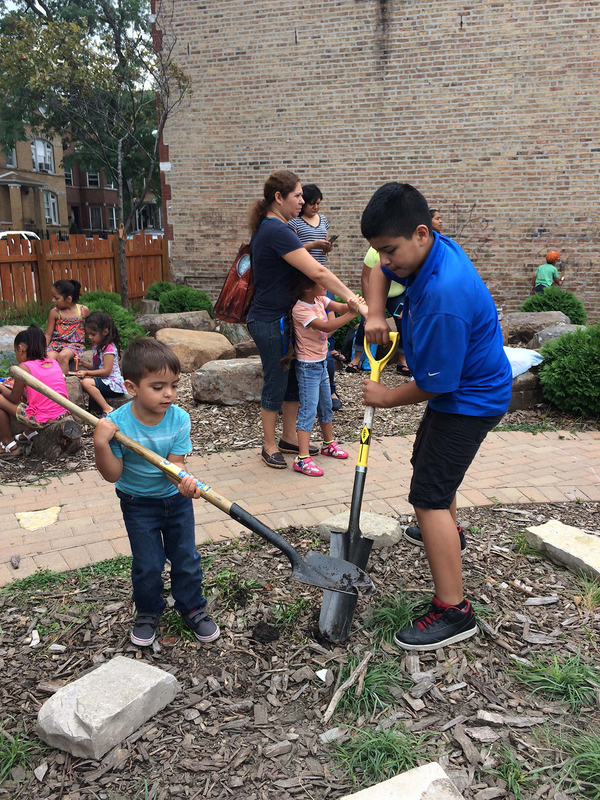 As a result, the grant received from The Chicago Fund for Safe and Peaceful Communities has been invested wisely, used to support collaborations with the people who help shape the space and to sustain the garden´s activities. 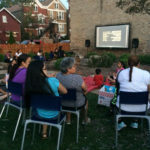 One of Cortés´ favorite events was a movie night, where they played movies of one of the biggest Mexican movie icons, Mario Moreno “Cantinflas.” That movie night was such a success that the organization decided to buy the projector and screen, and to make plans to screen movies on a regular basis in the upcoming year. 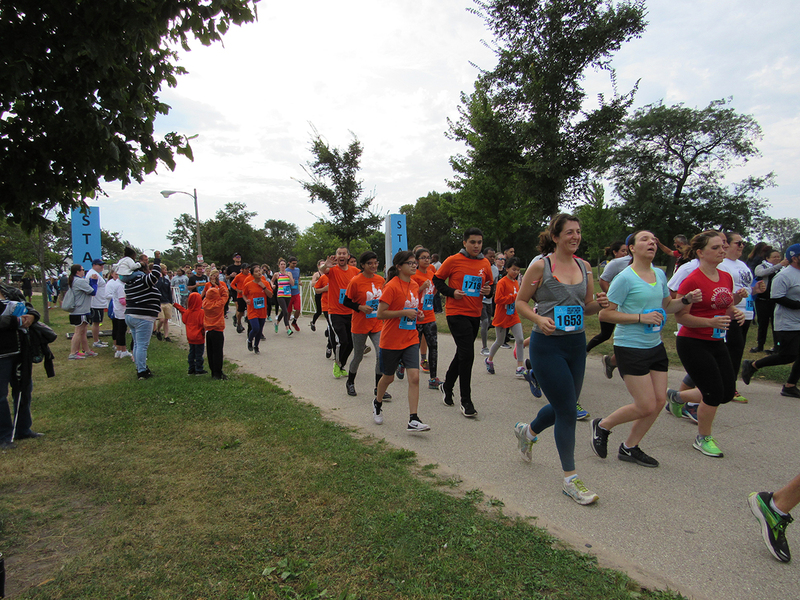 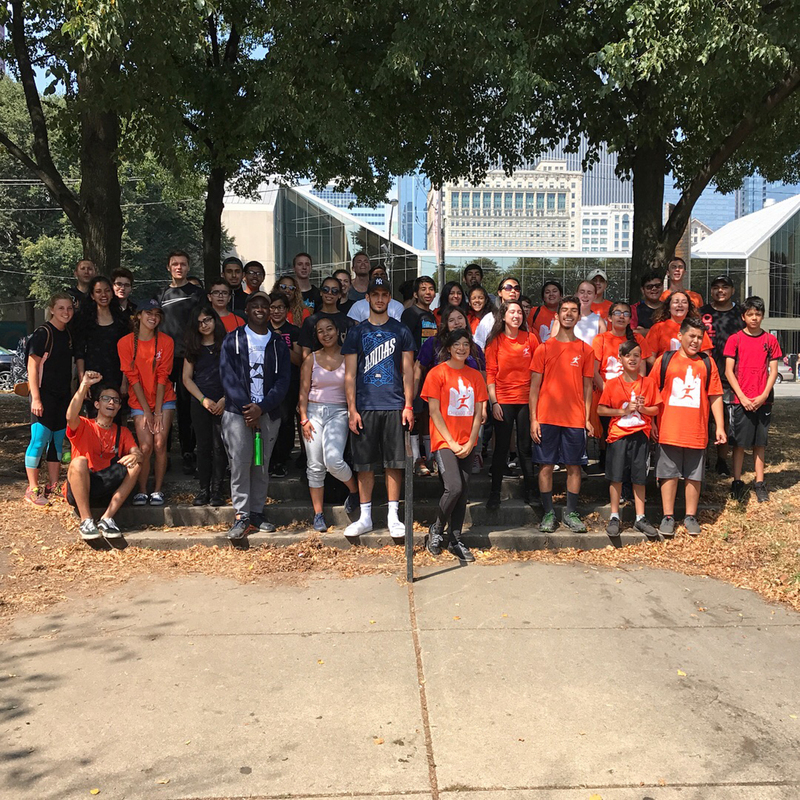 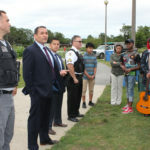 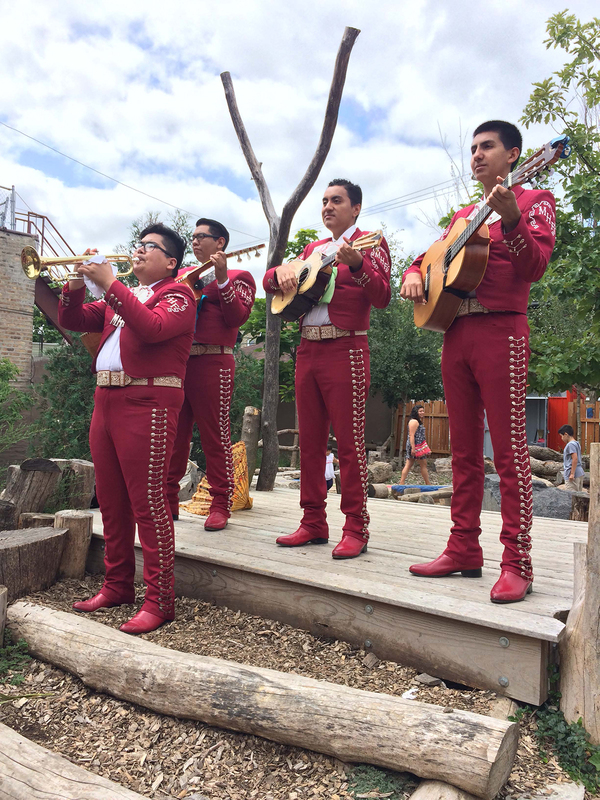 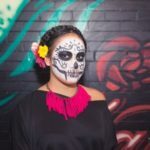 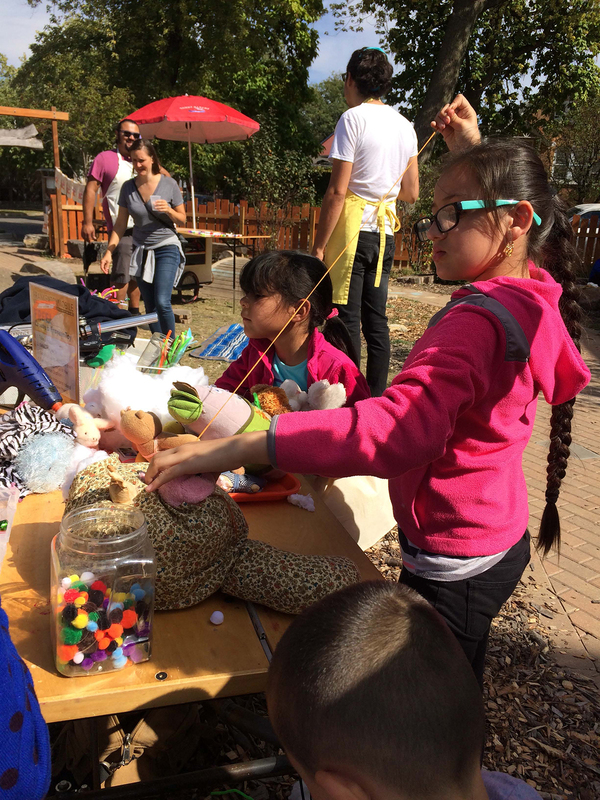 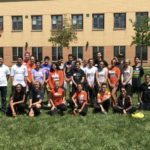 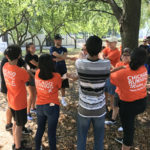 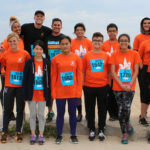 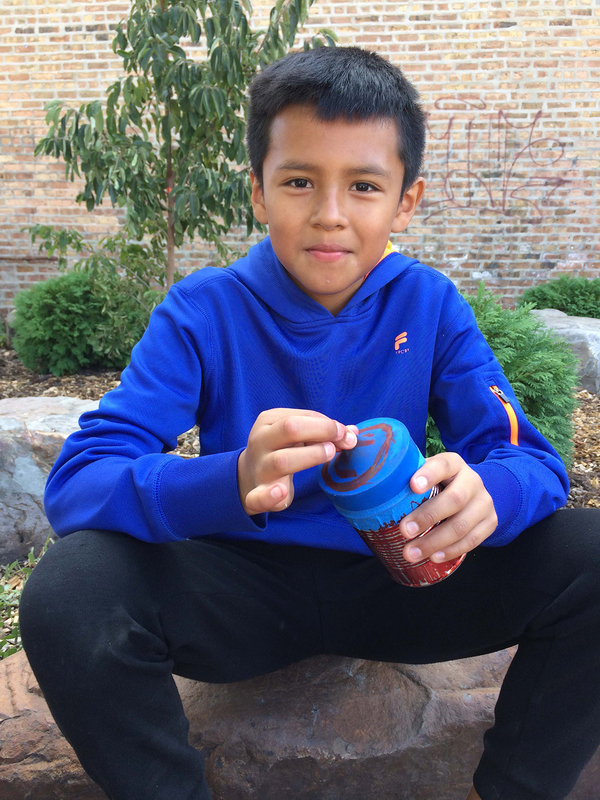 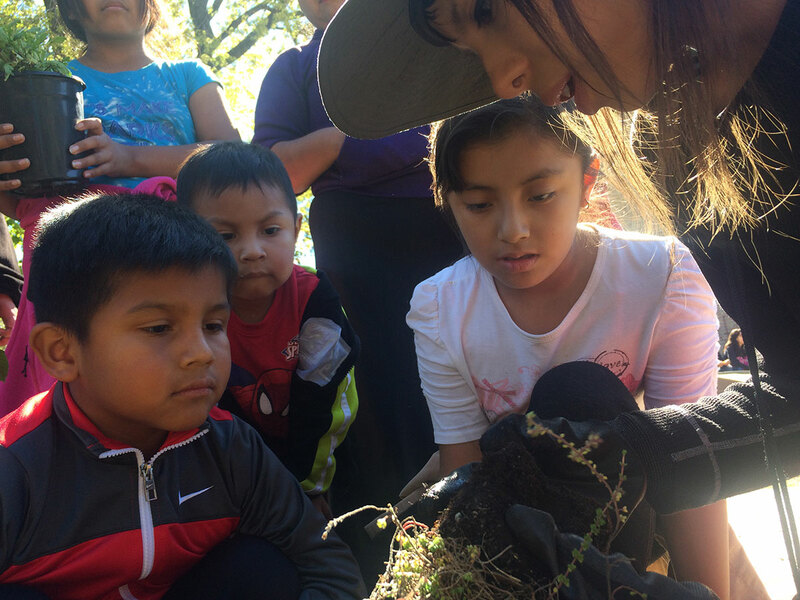 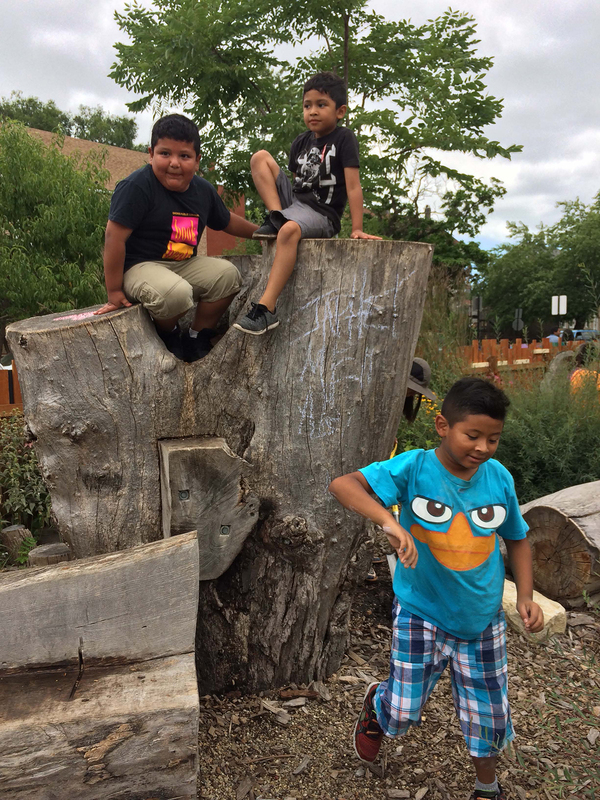 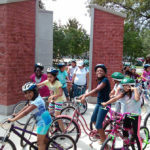 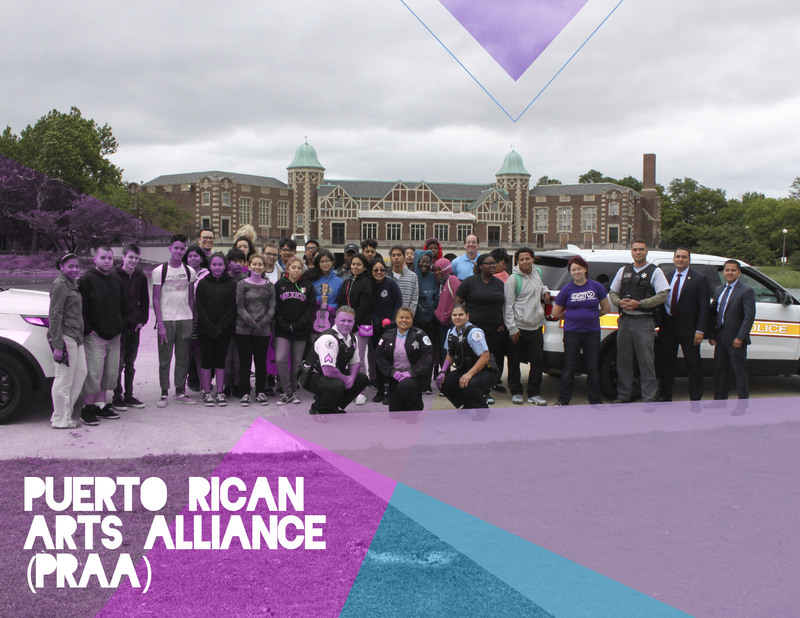 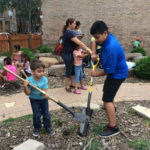 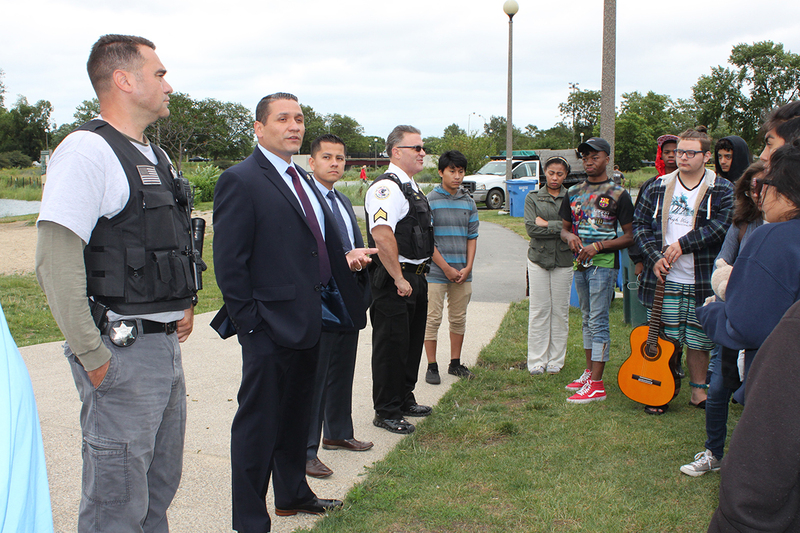 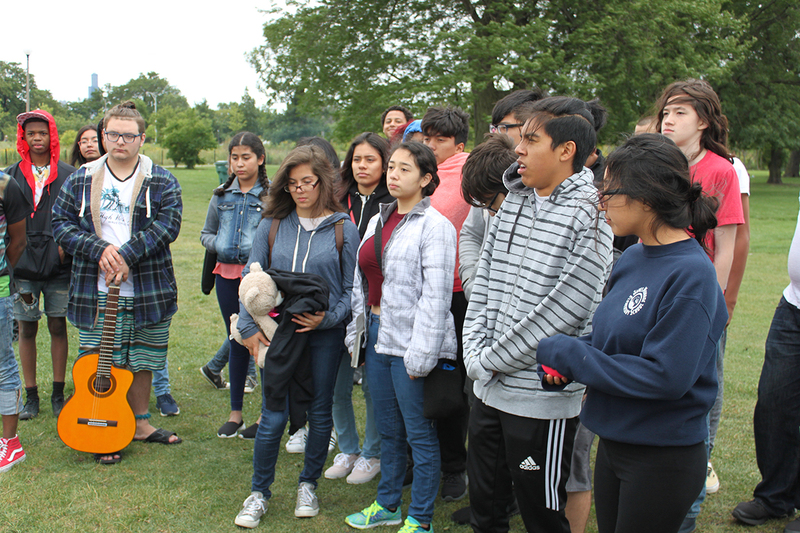 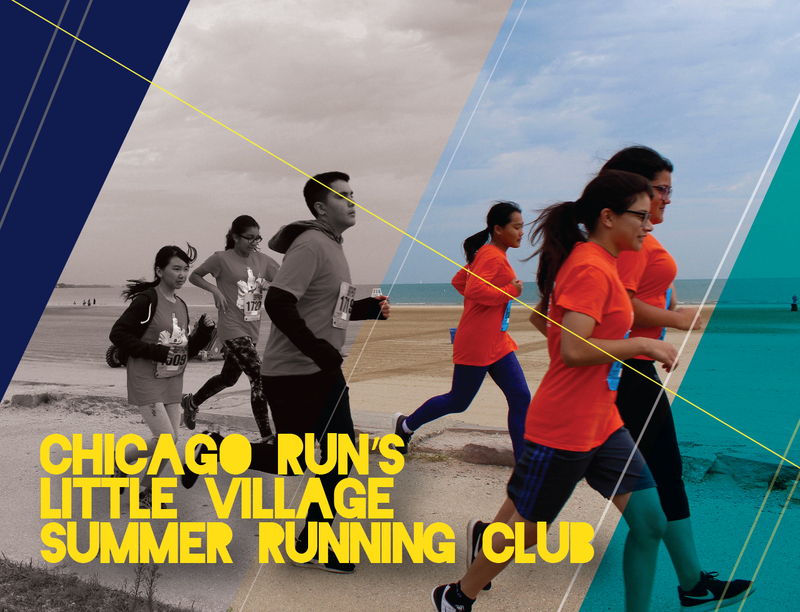 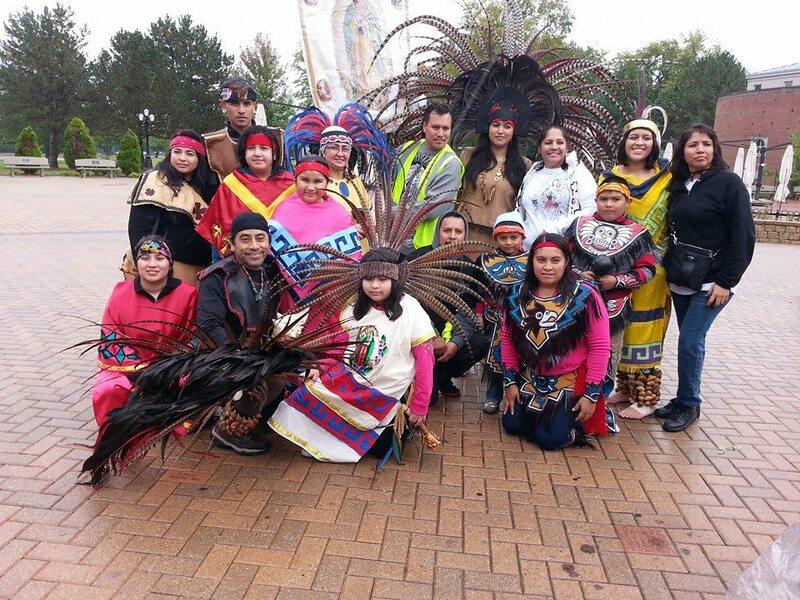 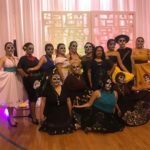 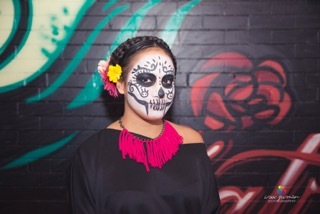 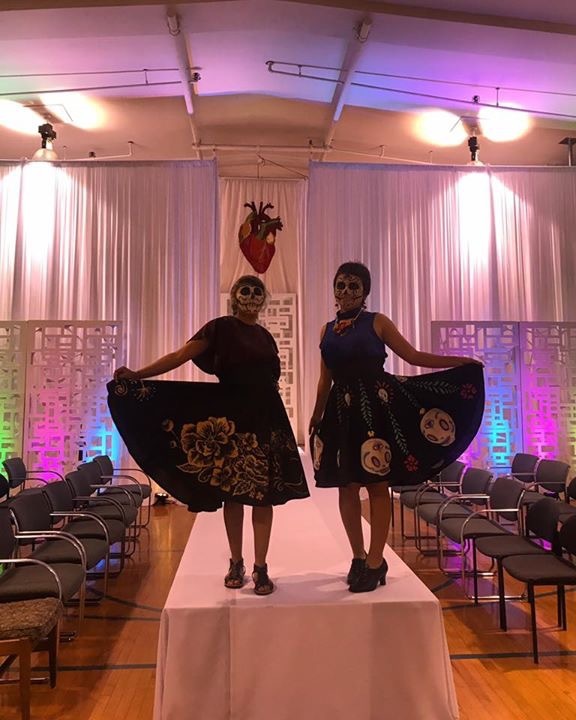 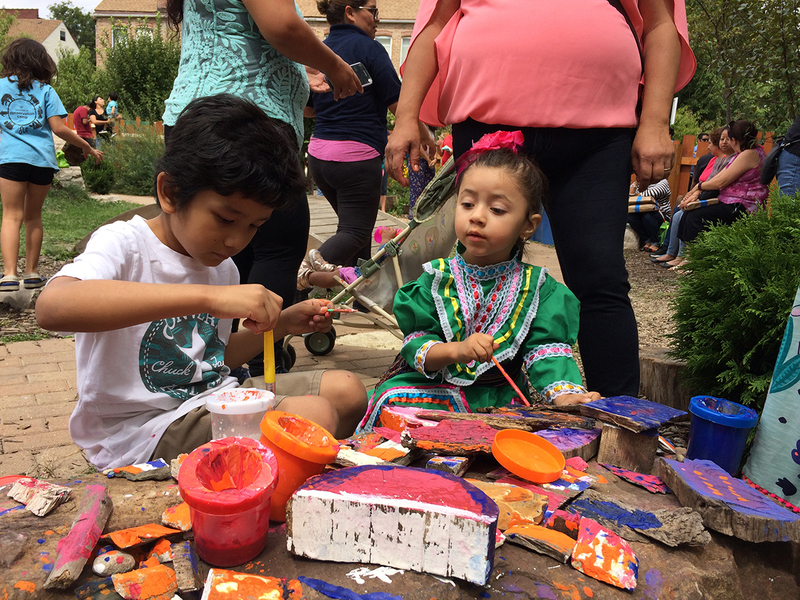 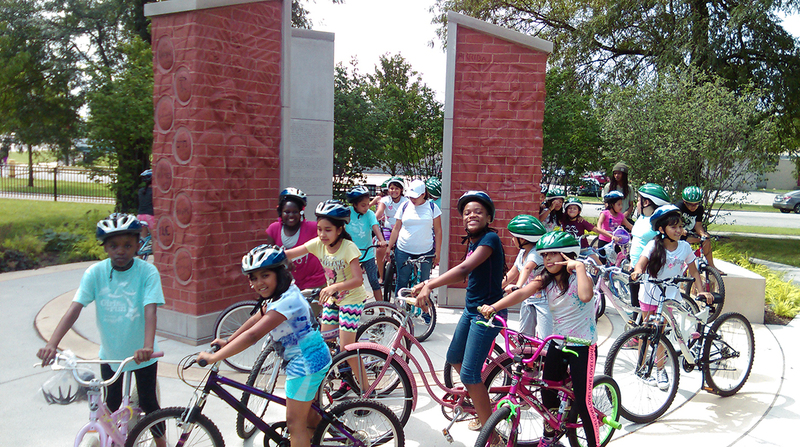 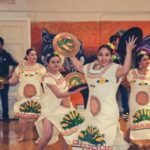 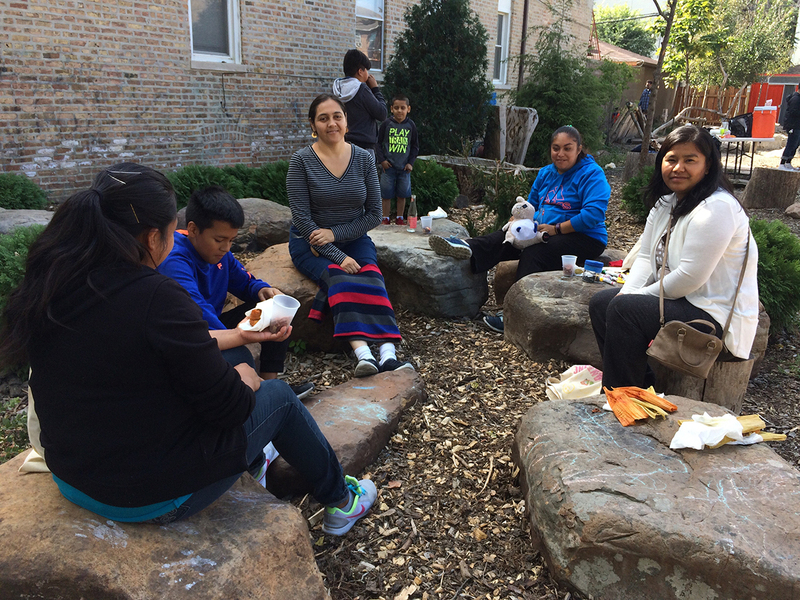 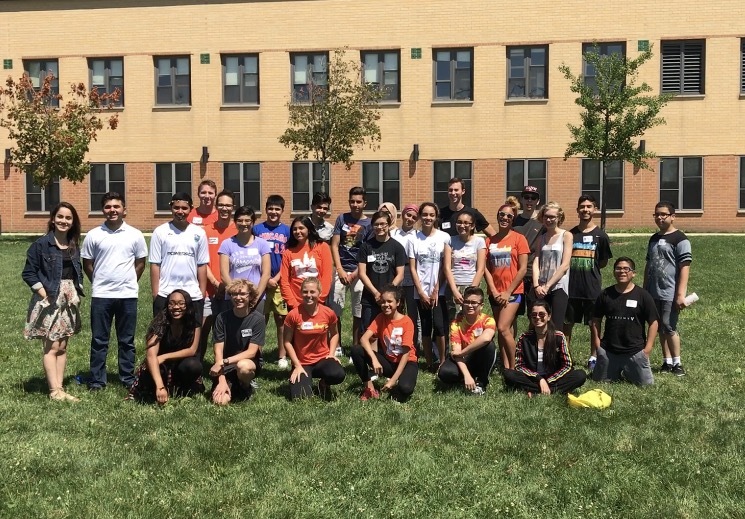 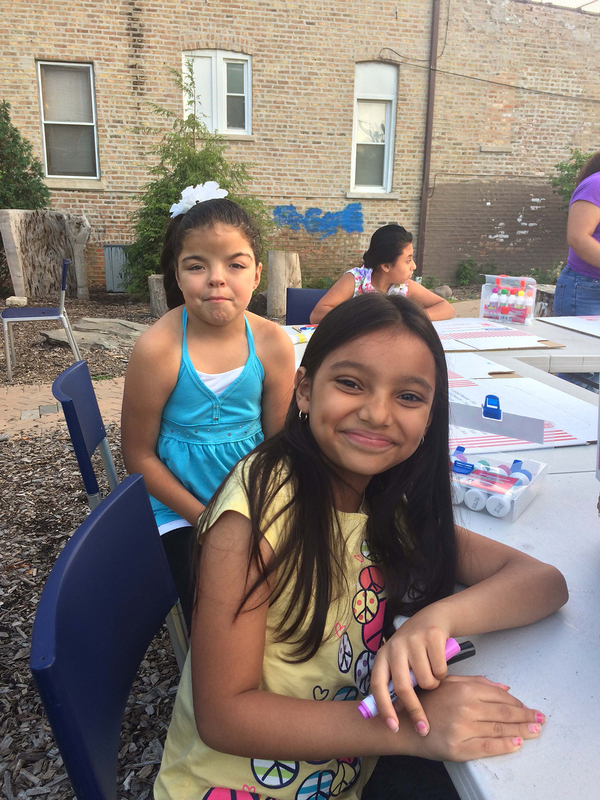 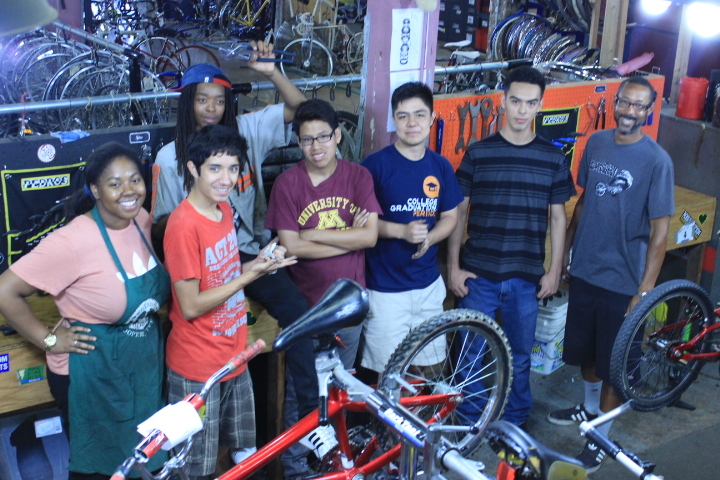 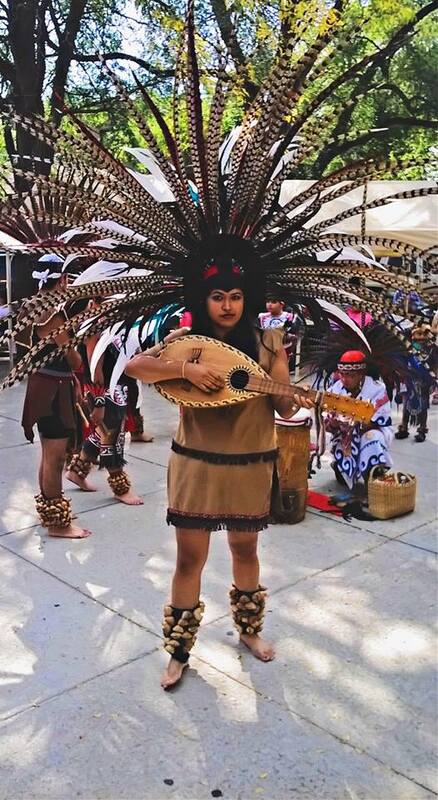 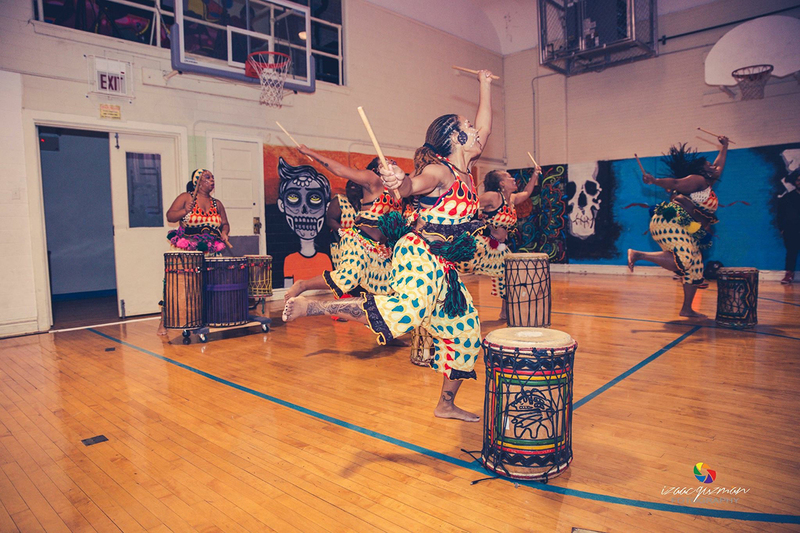 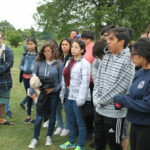 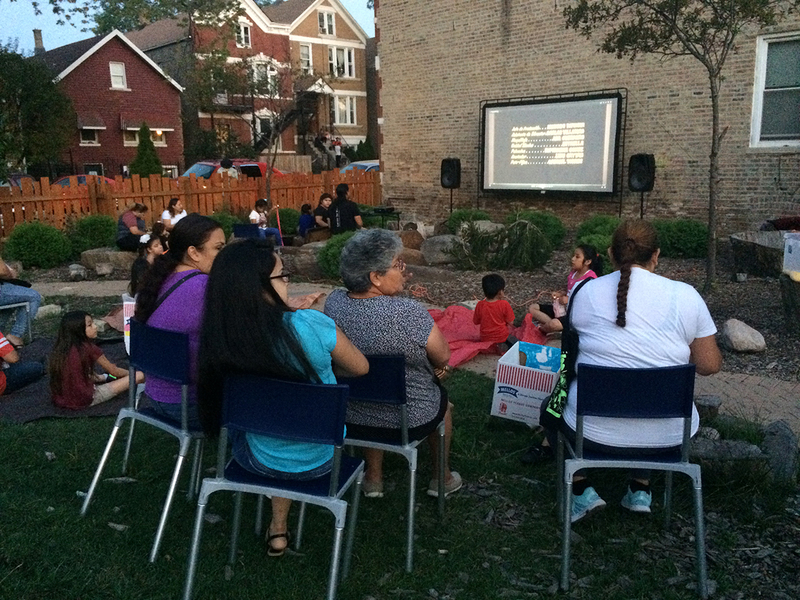 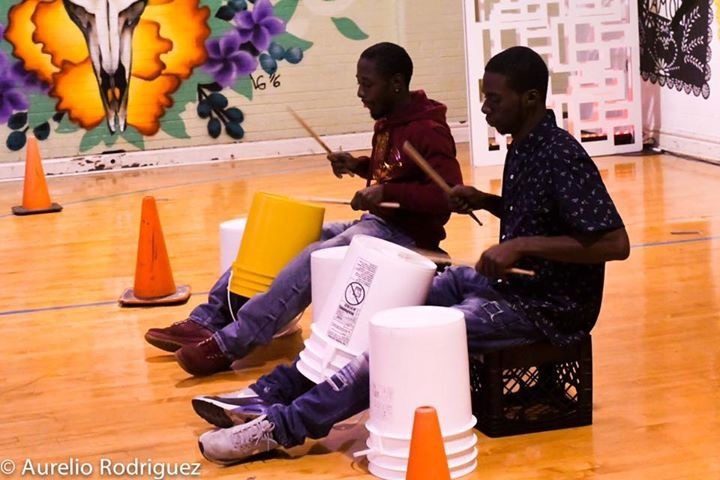 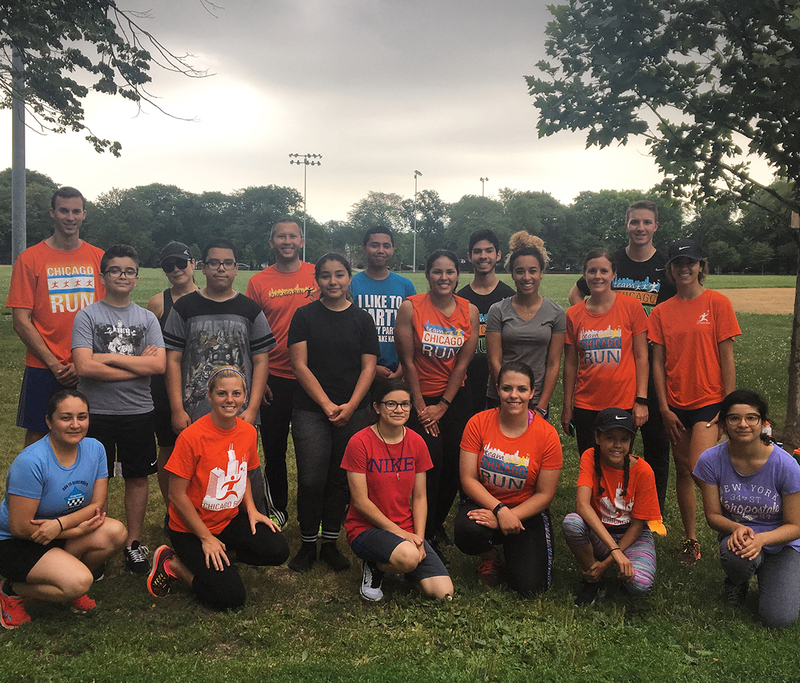 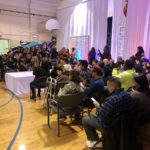 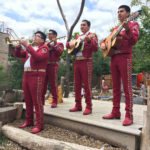 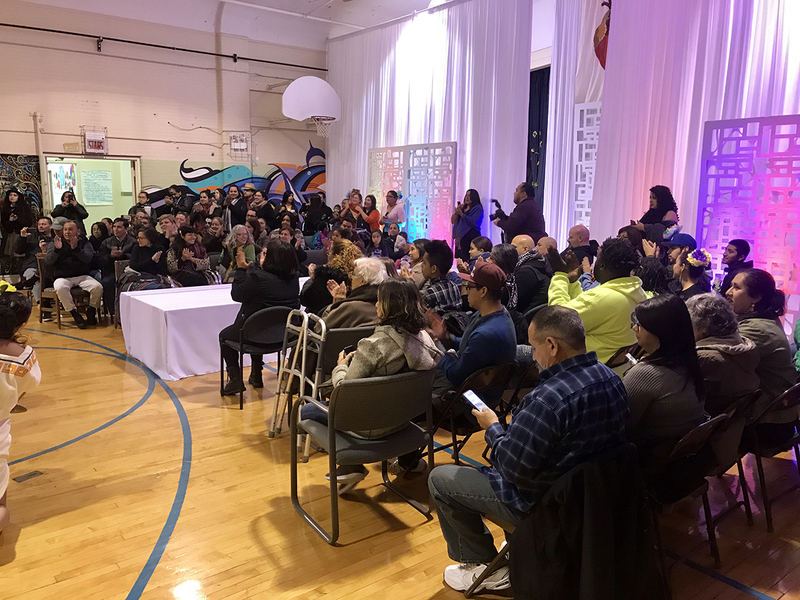 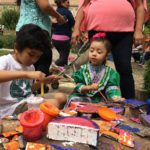 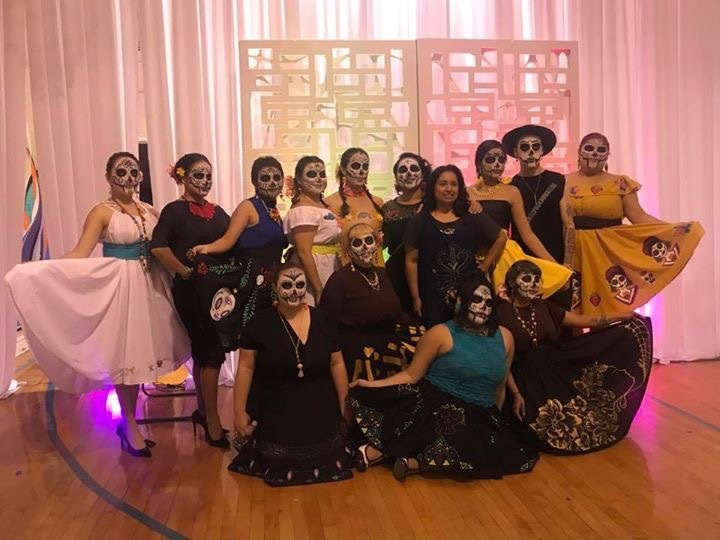 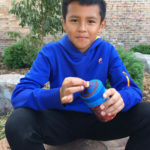 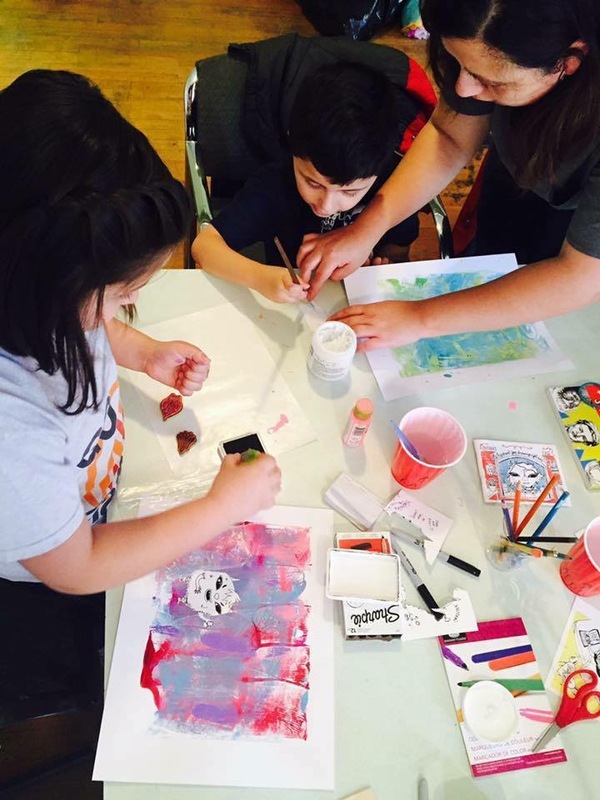 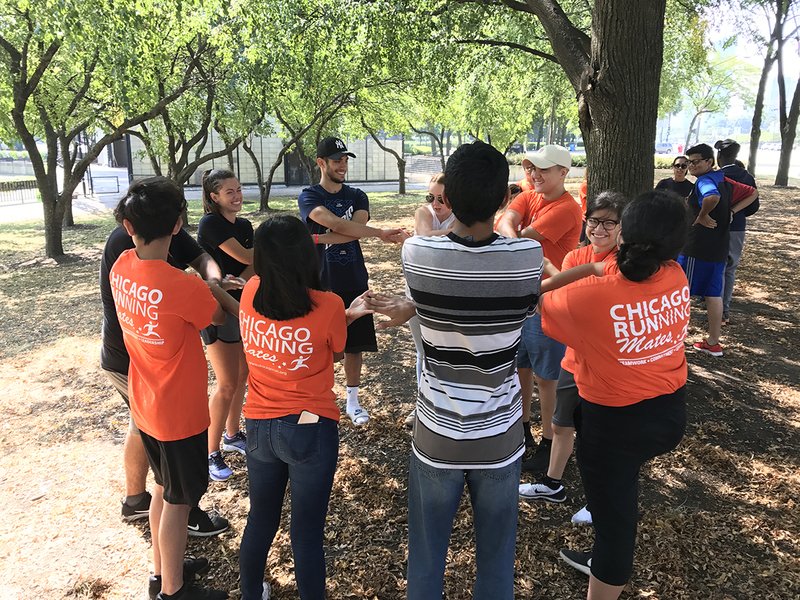 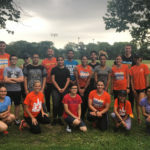 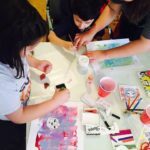 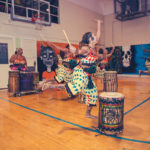 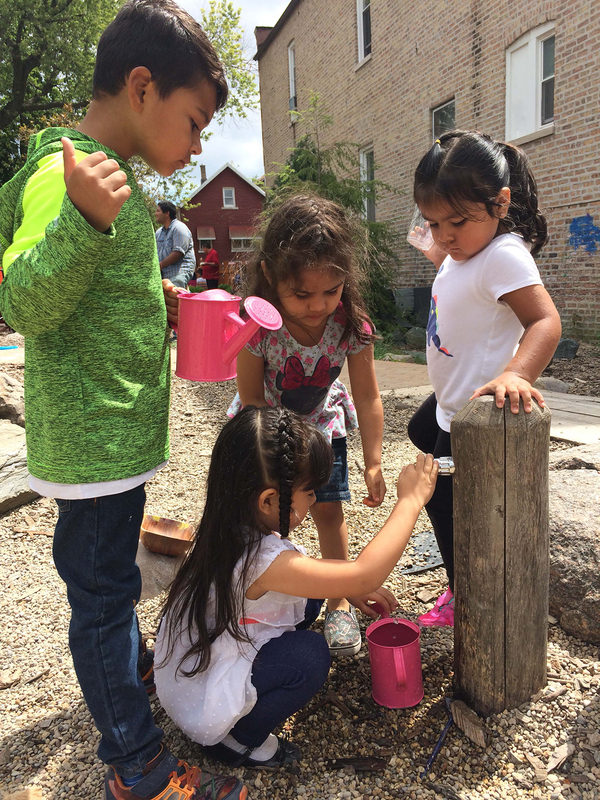 “Little Village is a vibrant community that confronts the root causes of violence by creating alternatives for families and youth to engage with nature in an oasis and with community events that are culturally relevant and fun,” said Cortés. 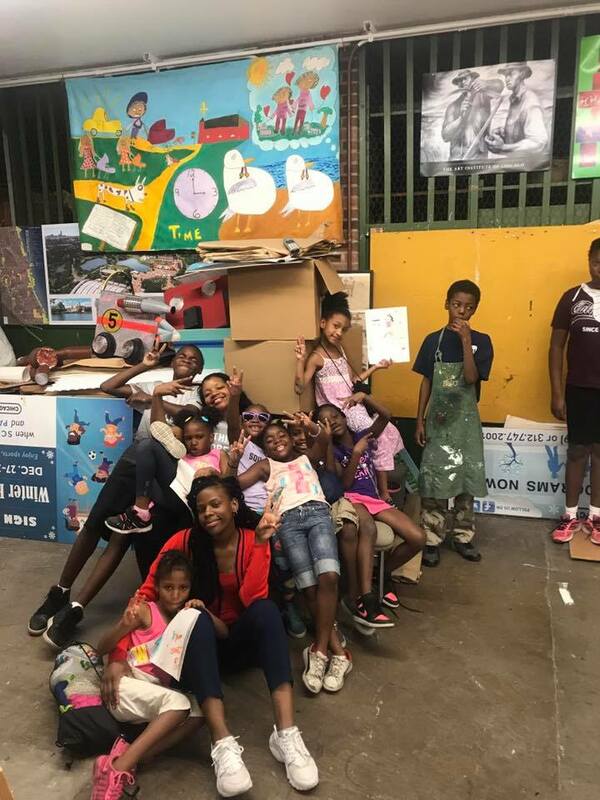 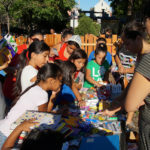 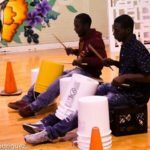 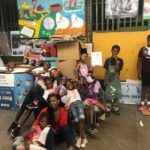 The organization also was able to support a local arts collective in buying school supplies, which were given away for free as part of a large back-to-school celebration. 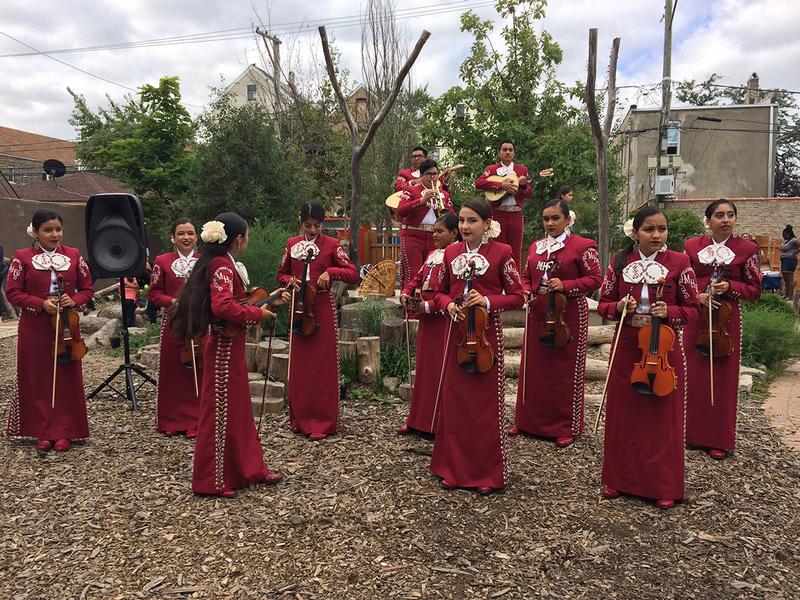 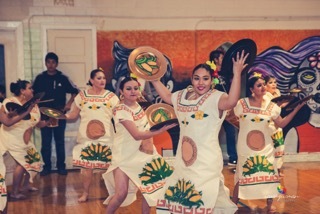 A youth mariachi group harmonized the event. 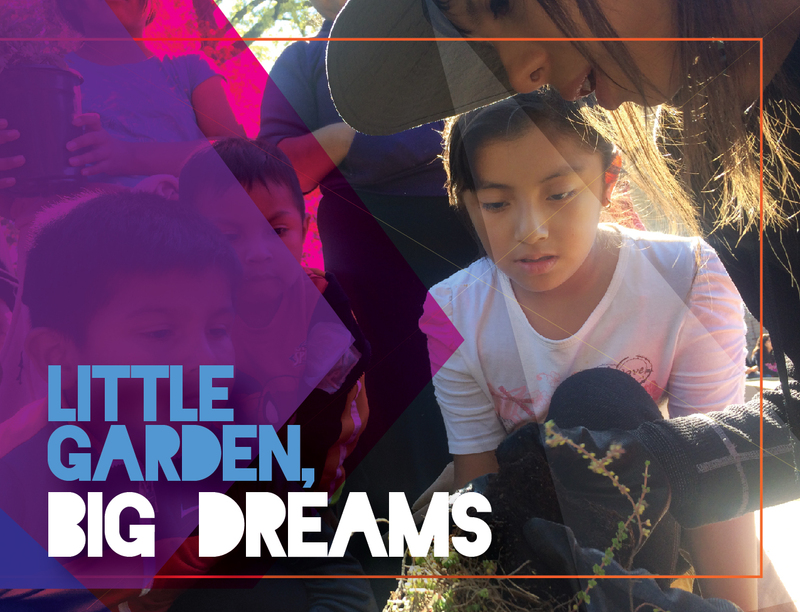 Chavez says she likes returning to the garden over the summers because she can see how the kids are growing up.